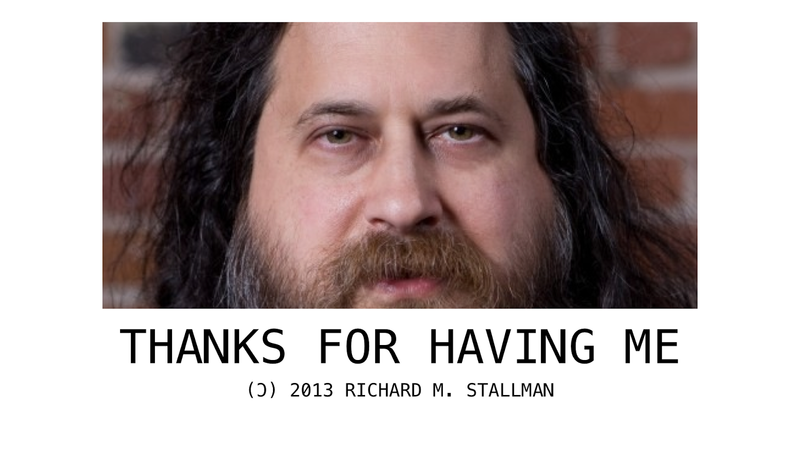 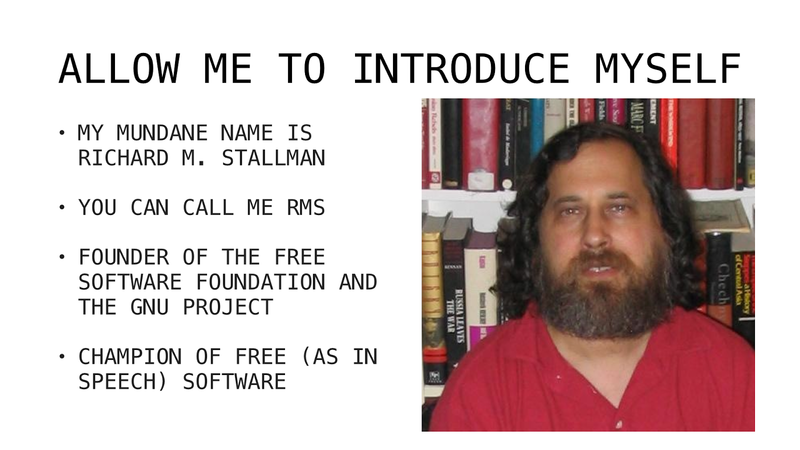 he is no more promoting free software. 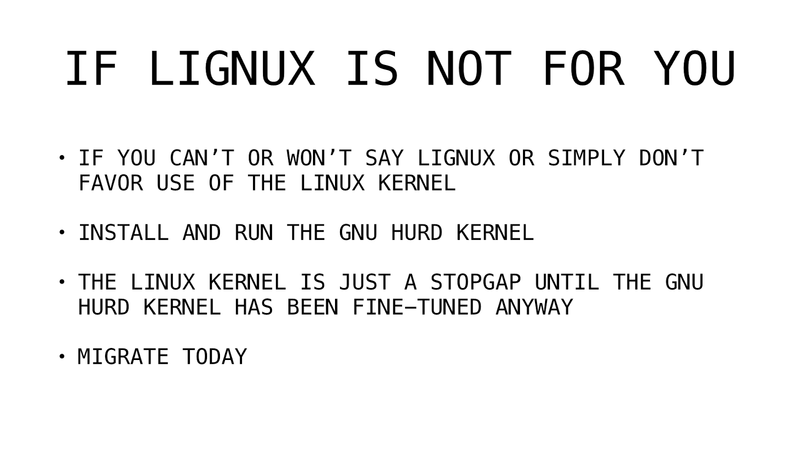 he is hurting it. 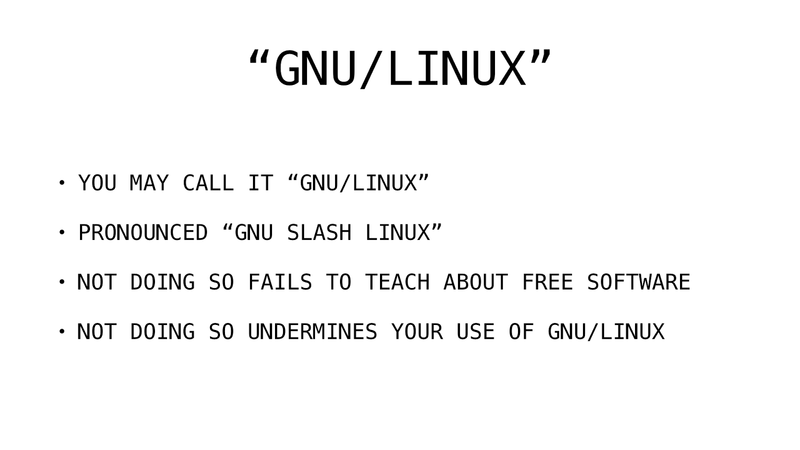 I think it doesnt go far enough. 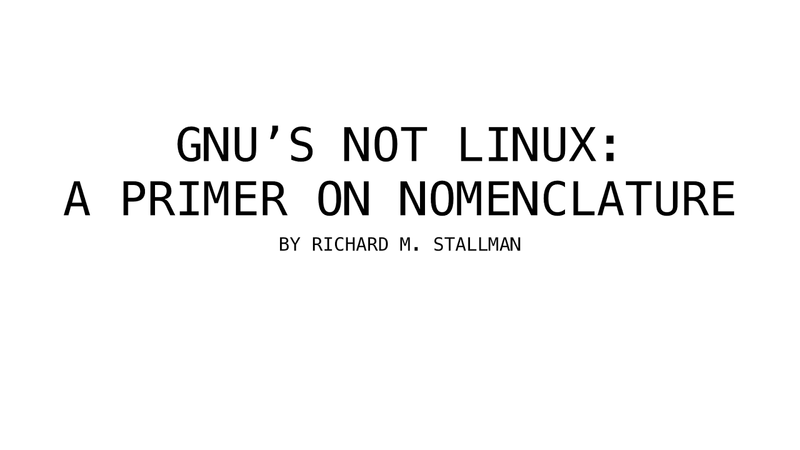 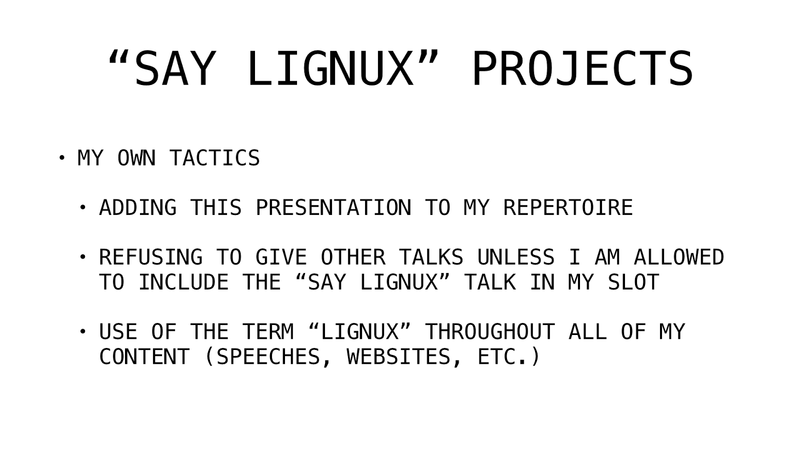 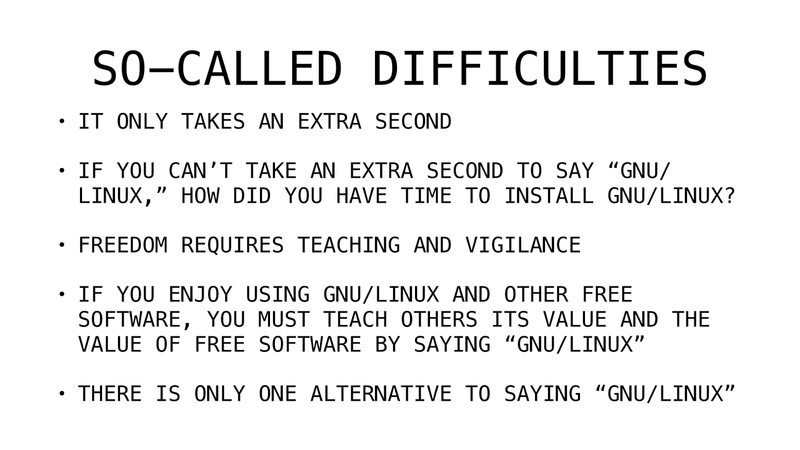 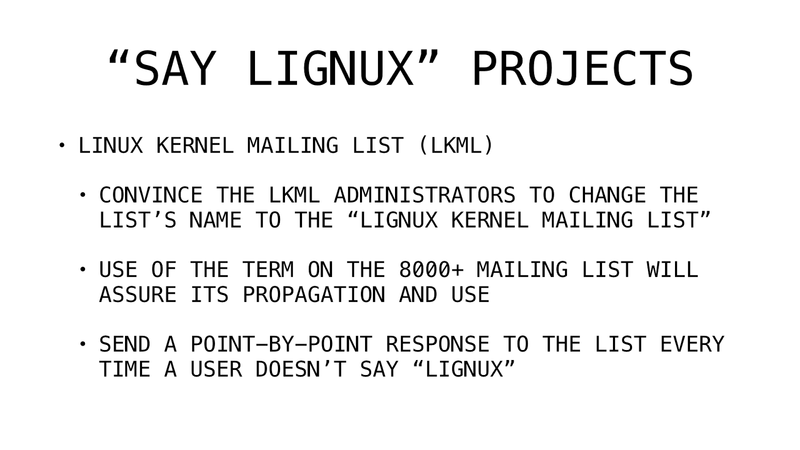 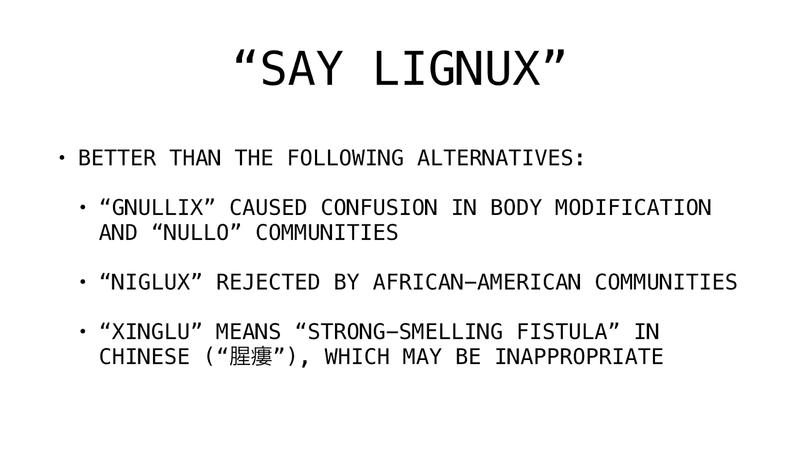 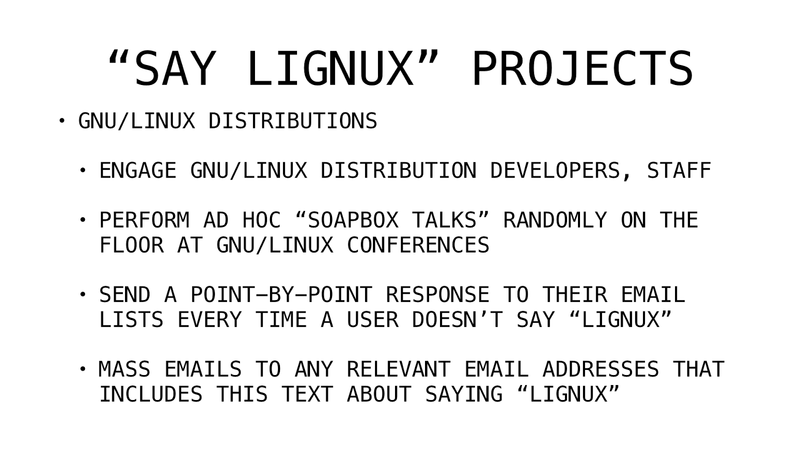 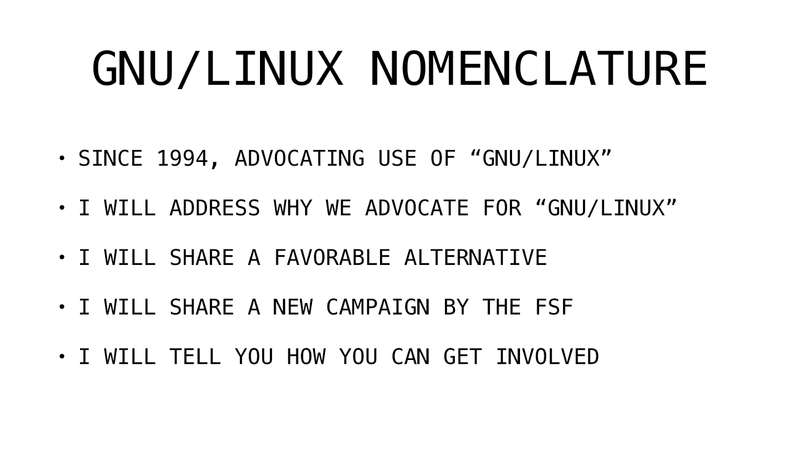 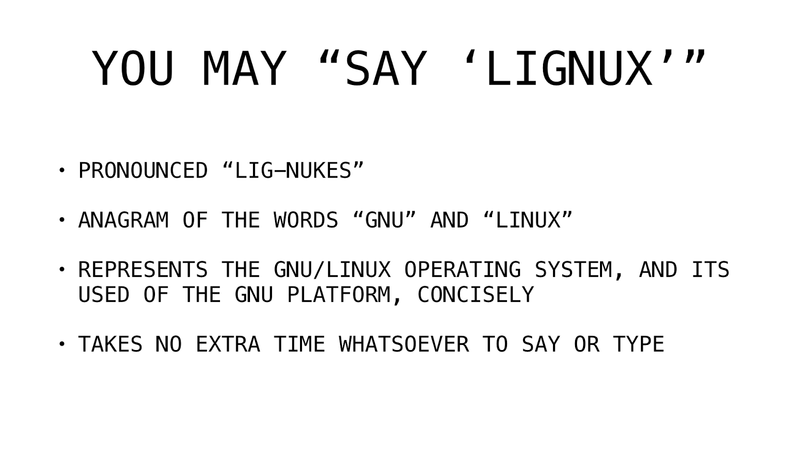 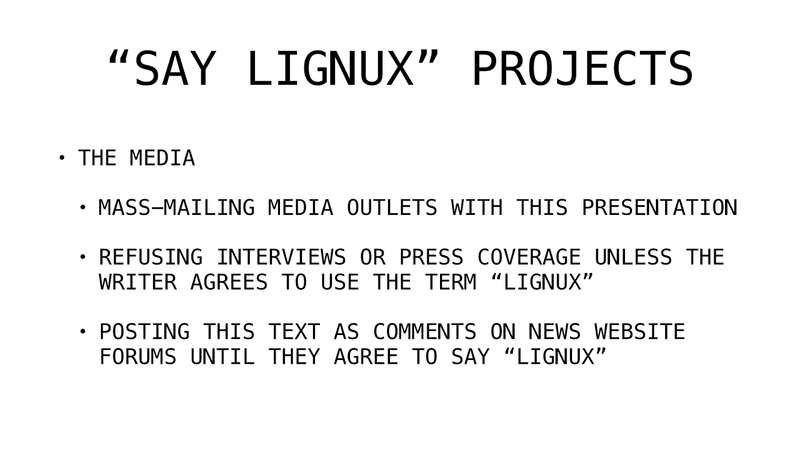 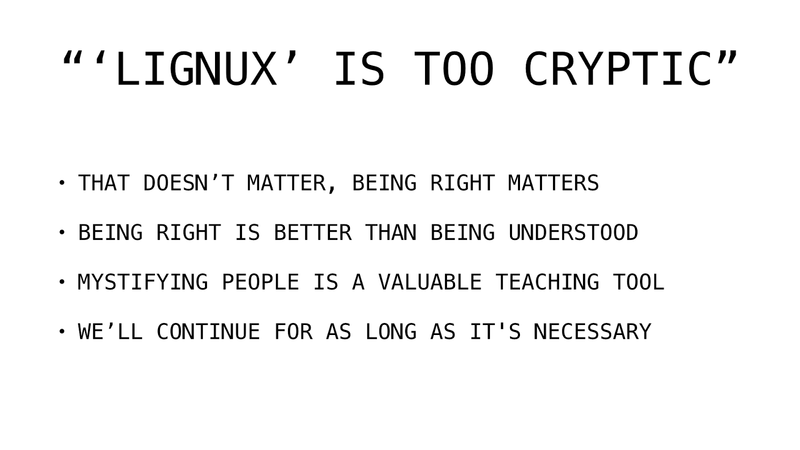 We should call it GNU-LiGNUx. 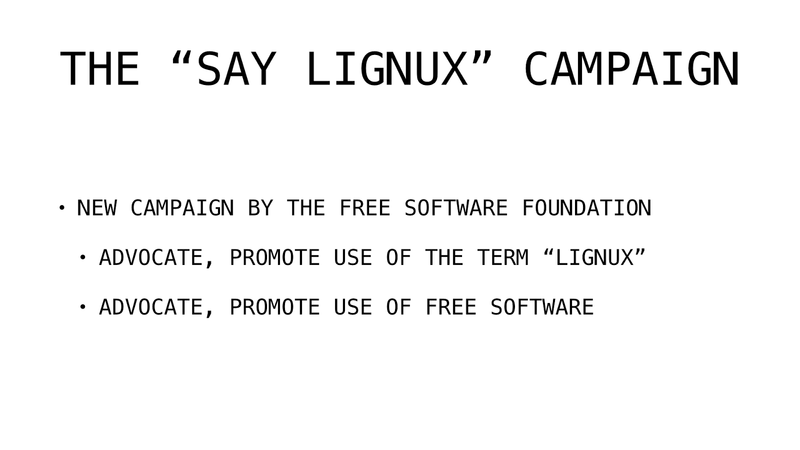 That way theres a backup reminder of the glory of free software. 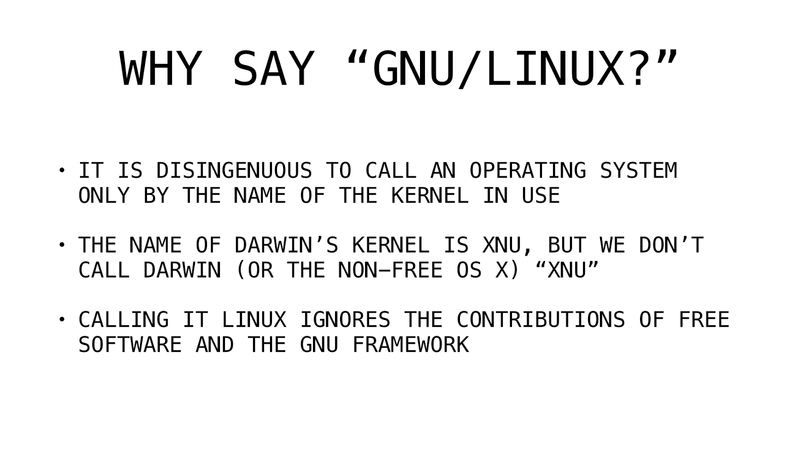 Distributions that use bsd could be called GNUBSD-LIGNUBSDx pronounced "GNUB ESDEE LEE-GUNB SDex"